The current FCC has a clear bias towards the big cable companies, telcos and cellular companies. There is nothing particularly wrong with that since this FCC represents an administration that also is big-business oriented. Past FCC’s have clearly favored policies that reflected the administration in charge. For instance, the prior FCC under Tom Wheeler was pro-consumer in many ways and pushed things like net neutrality and privacy – issues that had the support of the administration but not of the giant ISPs. However, in the last few decades the FCC has gotten a lot more partisan. It’s becoming rare to see a policy vote that doesn’t follow party lines. This isn’t true of everything and we see unanimous FCC Commissioner support for things like providing more spectrum for broadband. But FCC voting on any topic that has political overtones now seem to follow party lines. The most recent example of the increased partisanship is evident with the release of this year’s 2018 Broadband Deployment Report to Congress. In that report Chairman Pai decided to take the stance that the state of broadband in the country is fine and needs no FCC intervention. The FCC is required to determine the state of broadband annually and report the statistics and its conclusions to Congress. More importantly, Section 706 of the Telecommunications Act of 1996 requires that the FCC must take proactive steps to close any perceived gaps in broadband coverage. In order to declare that the state of broadband in the country doesn’t require any further FCC action, Chairman Pai needed to come up with a narrative to support his conclusion. The argument he’s chosen to defend his position is a bit startling because by definition it can’t be true. In effect, the FCC now says that broadband deployment is back on track due to its December 2017 net neutrality repeal. But the ‘facts’ it cites don’t support its argument. First, any broadband improvements made by the cited telcos in 2017 would have been authorized and started in 2016 before this new FCC even was in place. Further, a big percentage of the recent broadband deployments of these particular telcos are due to earlier FCC decisions prior to the Pai FCC. For example, AT&T was required as a requirement of the purchase of DirectTV to pass 12 million new residences and businesses with fiber. A lot of the broadband spending made by AT&T, Frontier and Alaska Communications are using CAF II funds given to them by the Wheeler FCC and which the companies are required to spend. None of those expenditures have anything to do with the repeal of net neutrality. And since net neutrality was only reversed a few months ago, it’s impossible to believe that any of the broadband spending in 2017 was due to this FCC. It’s far too early to see if that order will have any impact on rural broadband expenditures (something no industry experts expect). This FCC Broadband Report concludes that deployment of broadband in the country is on track and reasonable. Yet the numbers in the report show that there are still 19 million Americans in rural America without access to adequate broadband. There are 12 million school-aged children who are suffering from the homework gap because they don’t have broadband at home. By declaring that broadband deployment is adequate, Chairman Pai has let his FCC off the hook for having to take any actions to address the issue. But his stated reasons are based upon an argument that is clearly not supported by any facts. This would seem to put the Chairman in violation of his Section 706 obligations, although that’s probably something only Congress can determine. I’m saddened to see the FCC become so partisan. This is not a new phenomenon and we saw partisan voting under the last several FCCs. Before that we had pro-big business FCCs such as the one under Chairman Michael Powell. But that FCC was far less partisan and still basically used the facts at its disposal in making decisions and setting policy. The FCC has a mandate to balance what’s good for both the public and the telecom companies. 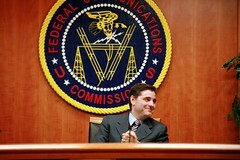 In an ideal world the FCC would be a neutral arbiter that listens to the facts and sides with the best arguments. This trend towards a partisan FCC is bad for the industry because it means that major policies will flip-flop when we change administrations – and that’s not good for ISPs or the public. Partisanship does not excuse this FCC from abrogating its responsibility and making specious arguments not supported by facts. This FCC has taken partisanship too far. FCC Chairman Tom Wheeler said a few weeks ago that the FCC was strongly considering lifting state barriers to municipal competition. His reasoning is that there is such a large need for broadband infrastructure that governments should not stand in the way of anybody who is willing to make the last mile investment. There are twenty-two states that have barriers that are significant enough to either ban or make it almost impossible for municipalities to compete with broadband. There are a number of kinds of existing barriers to entry in State laws. First there are states like Texas that just have an outright ban on municipal competition. But there are also a few states that handled this a different way, like North Carolina, which instead created a list of barriers to entry that are impossible for any City to meet. North Carolina’s law is an effective ban, but it never explicitly bans municipal competition, but instead is written to sound like there might be a path to compete. Utah has an unusual restriction in that Cities there are allowed to build fiber networks, but they can only operate them on a wholesale basis, meaning that some commercial provider must come in to provide the services. This same restriction is also in place in Washington where the Public Utility Districts (rural electric companies) have this same restriction. As it turns out it is very difficult, and maybe impossible over the long-run to make money with a wholesale network. This was the issue faced by Provo who finally gave up and sold their network to Google. And the problems faced by Utopia in Utah are well known. What is interesting is that these bans are sponsored by the large incumbents like AT&T and Comcast. But for the most part the Cities that have decided to build fiber are small, rural and are in places that the incumbents have written off years ago. No large NFL City has ever given really serious consideration to building fiber. And only two Tier 3 Cities – Chattanooga and Lafayette have done so. Most of the places that want to get into the fiber business are towns that realize that no commercial company is going to make an investment in their community. The cities that want fiber see that their kids leave town because there are no decent jobs in the local economy. With poor broadband the businesses that are there have trouble competing today and many of them will eventually relocate to where there is fiber. Most towns that decide to consider fiber feel they have been pushed into that decision. They generally have asked the incumbent providers to make the investments, but those big companies are not investing in small town America. In fact, just the opposite is happening and AT&T told the FCC that they would like to disconnect millions of rural landlines. I don’t know a town that built fiber that didn’t do it reluctantly. But I think everybody is finally coming to understand that fiber has become basic infrastructure. It’s as essential to the well-being of a community as streets and sewers. Places without broadband are going to fade away over time and become irrelevant in economic terms. And towns get this. They want fiber as a way to make sure that their community is still here and still relevant twenty and thirty years from now. It just seems incredibly selfish and greedy for the incumbents to work so hard to ban small towns from building fiber, when they themselves will never make any investment in those communities. I guess that is just in the nature of large corporations to generically fight against any competition if it can be legislated. They want to milk the last dollars out of their aging copper plant before they cut it down one day and leave these communities stranded. In the telecom world we are not very used to our issues getting a lot of notice from the public. But it’s obvious that net neutrality has become a political issue as much as it is an industry issue. 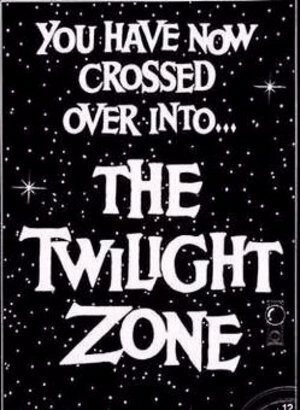 Compared to the normal way we do business as an industry the debate has entered the twilight zone. This all got started when new FCC Chairman Tom Wheeler said that he was proposing new rules that would allow for the creation of an Internet ‘fast lane’, By that he meant that the FCC is going to allow the large ISPs to charge large content providers for premium access to their networks. Of course, Chairman Wheeler is not himself neutral in this decision having spent years as the head lobbyist for the cable industry and opposing net neutrality. It’s somewhat ironic that he made this new announcement at the annual cable show with his cable company peers. The headlines that day made it sound like the FCC was going to take a legitimate shot at maintaining net neutrality, but within days it became understood that the fast lane idea was just the opposite and that he was handing the cable companies exactly what they wanted. What I don’t think that Wheeler expected was that the public would jump all over his idea. And so, before the proposal was even released the Internet companies like Google and NetFlix weighed in against it. A huge number of consumer groups and many citizens weighed in against it. And so, quite unexpectedly, the Chairman announced yesterday that he is changing the proposed rule, one that hasn’t even been released yet. He said that the revised rules would allow for ISPs to charge companies like NetFlix and Amazon for faster access to customers, but that non-paying companies would not be put into the slow lane. This makes no sense and is political double-speak. 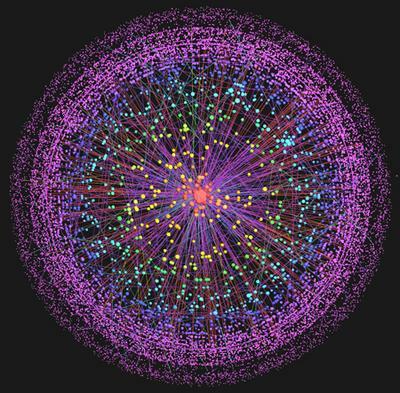 From a network engineering perspective you either give priority to bits or you don’t. If some companies get priority routing, then all other traffic gets degraded. That is the only way it can work on a network and no amount of regulatory talks can change the way that bits operate. The idea gets even more bizarre if you think it through. What happens if 20 companies pay Comcast for priority access? Does the one who pays the most get slightly more priority than number two, and so on? The fact is that networks can’t do that. Bits are either prioritized or they are not, and so if a lot of companies pay for priority access we end up back where we are today for those companies, while the rest of the Internet would get degraded service. One thing that pushes this into the Twilight Zone is that Rasmussen did a push poll on the topic and concluded that only 21% of Americans are in favor of net neutrality. Push polls are generally only used for hot button political topics where somebody wants to prove the opposite of what’s true. In this case, the main question of the poll was, “Should the FCC regulate the Internet like it does radio and television”. None of the questions asked had anything to do with net neutrality and instead were designed to elicit a specific negative response. Obviously there are dozens of better ways to have asked the public about net neutrality, including actually asking about it. I have not conducted a poll, but I traveled all last week and in conversation I asked a number of people what they thought about the idea that the ISPs could give some companies priority access, which implies that others would get something less. Nobody thought that was a good idea and the general consensus was to leave things working the way they are. I believe there will be a huge amount of public discontent should the ISPs be allowed to break the Internet. I don’t think Chairman Wheeler has any comprehension how important the Internet is to most people. He is skirting with making a huge blunder if he allows the Internet to get screwed up. He is making himself the public face of how the Internet functions, and if he breaks it people will blame him personally. He has the chance to become the next infamous political appointee to get compared to Michael Brown who was running FEMA during Hurricane Katrina. But perhaps he won’t mind being vilified since he is handing the cable companies a billion dollar opportunity to charge more to Internet companies. There were two recent announcements in the industry that has to have the rural telephone industry shaking their heads a little. The announcements are not specifically negative, but they are indicative of the fact that the industry has lost a lot of influence in Washington. First, the president has announced the nomination of Tom Wheeler as the new head of the FCC. His background is as a high-powered lobbyist, and he was the head of both the National Cable Television Association (NCTA) from 1979 to 1984 and CTIA – the Wireless Association from 1992 to 2004. His nomination has come with mixed reviews from the industry with many fearing that he will favor issues that promote the wireless industry. But there have been others who know him who think he will be a fair arbiter and will step up to the position. As someone in the industry I obviously share the trepidation that he would prefer one industry over another, and I would have the same concern regardless of which industry he formerly lobbied for. I’m not a big fan of putting lobbyists into powerful government positions overseeing the industry they once represented. That just seems to be asking for trouble and at the very best adds complication to every decision they make in their new role. I can certainly see how small telcos in particular could feel uneasy about this nomination. The other news I saw was that Representatives Peter Welch (D-Vermont) and Bob Latta (R-Ohio) announced the formation of a bipartisan working group as part of the Energy and Commerce Committee that was going to focus on rural telecommunications issues. The group will be known as the Rural Telecommunications Working Group. This new group is going to focus on a range of issues including call completion (meaning making sure that everybody can call everybody), broadband access and speeds, and wireless spectrum. Other members of the Rural Telecommunications Working Group include: John Barrow (D-GA), Bruce Braley (D-IA), G.K. Butterfield (D-NC), Lois Capps (D-CA), Bill Cassidy (R-LA), Renee Ellmers (R-NC), Corey Gardner (R-CO), H. Morgan Griffith (R-VA), Brett Guthrie (R-KY), Adam Kinzinger (R-IL), Billy Long (R-MO), Ben Ray Lujan (D-NM), Doris Matsui (D-CA), Jerry McNerney (D-CA), Lee Terry (R-NE), and Paul Tonko (D-NY). It is certainly good that Congress started this working group, because having anybody look at rural issues is a positive. But I did notice that there are more representatives in the group from large urban states than there are from truly rural areas. Any old-timer (like me) with a rural telco background will remember that there used to be a strong coalition in Congress who fostered rural telephony issues. But in recent years the rural telecom support in Congress largely faded away, due in part to retirements of Congressmen who supported rural telephony and due to other factors like the growth of the wireless industry. I appreciate that this new group has been formed, but it makes me remember a day when rural companies could depend on the support of Congress. These two announcements made me realize that the political world has changed as much as the technological world for the rural telco industry. When I got into the telecom world there was no such thing as a cell phone, and now somebody who was the head lobbyist for that industry might be the next head of the FCC. Who woulda thunk it?